Open House Saturday at The Max | Guy Christie - Oakwyn Realty Ltd. Welcome to The Max - Enjoy the fantastic water & city views from beautiful corner unit apartment has to offer. 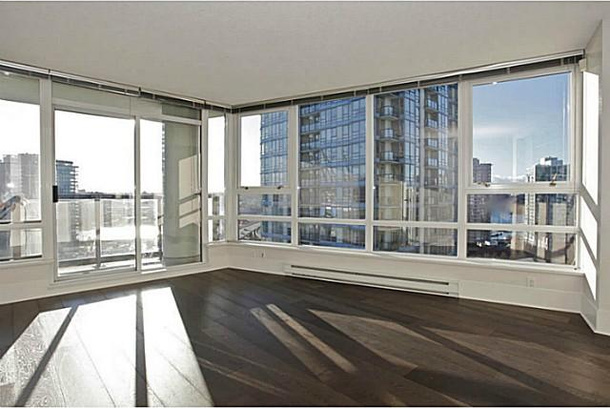 Spacious modern layout has 2 separate bedrooms plus den with insuite storage & balcony overlooking False Creek marina. Meticulously upgraded includes: floor leveled, new wide plank, engineered hardwood floors, new Caesarstone counters in the bathroom, new Kohler bathroom sinks, new door handles, newly painted, new glass accents in bathroom tiles, new door trim and much more. Looks new, feels new & spotlessly clean! Amenities include swimming pool, sauna & steam rooms, gym, concierge & more. Complete with 1 parking stalls. This one is not to be missed!